A fine analysis, although I would point out one large (and expensive) ship class which represented a new capability, built in peacetime–the Cold War Polaris SSBN force. With 41 ballistic missile submarines spread across nine fiscal years they represented a genuine building of USN strength. This is admittedly tangential to your main point, as their role was not as general purpose Navy ships, but strictly for nuclear deterrence. 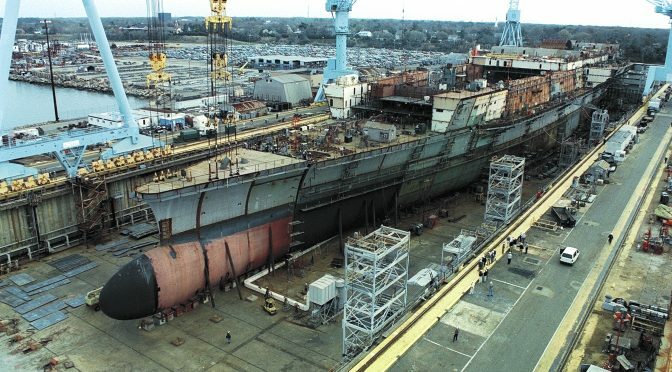 The Polaris submarines also deepened the USN’s shipbuilding “hole” at a crucial time, during the Vietnam War, worsening the fleet’s condition during the early 1970s. A very good point and thanks! Excellent analysis. One of the biggest challenges in right sizing and configuring a fleet is that since large expenditures are required, it automatically becomes a political issue. And politics tends to obscure perception of need. Some fixed number of ships – 600 in the US in the 1980s, and 355 ships now – becomes an easily remembered political objective, but the trick is in growing capability to meet the actual threats. Modularity, and adaptability to new technology and new weapons and sensors, is essential to avoid earlyobsolescence. Also, with respect to surface fleets, it is critical that we develop weapons such as lasers and railguns that will defend against growing arsenals of cheap long range anti-ship missiles that can swarm and overwhelm current missile defenses … else our massive investment in a surface fleet including carrier strike groups will be at severe risk in a near peer war. The LCS program is years behind schedule, several times over its initial projected costs, and cannot conduct most of its required mission areas. Pointing these things out is hardly unfair malignment. A ship or aircraft “might” someday be able to do a lot of things. That’s called R&D. It’s not a particularly good justification for building an entire class of ships. The more pertinent questions is what LCS can do against current and projected threats and how does it fit into the Fleet architecture. I’d imagine that question is getting asked in OPNAV quite a bit nowadays. I suspect the answer is not very much and not very well. I do agree with you that “…reduction in the number of individual classes by merger has been a good way to reduce costs.” Which is why the decision to build two types of LCS was the height of idiocy. Your statements on LCS are untrue. It is not late and it is not overbudget. The first ship in each variant were relatively expensive, just as the first one or two ships in every new class of ships always are. After the first two of each variant, all subsequent ships have been within budget according to strict fixed price contracts on two separate 11 ship bulk buy contracts. The mission modules, which are not from shipyards but are GFE, have taken a long time to develop, but that is because they rely heavily on cutting edge unmanned systems which are the most advanced of any in the world … and also because requirements have changed due evolving threats. 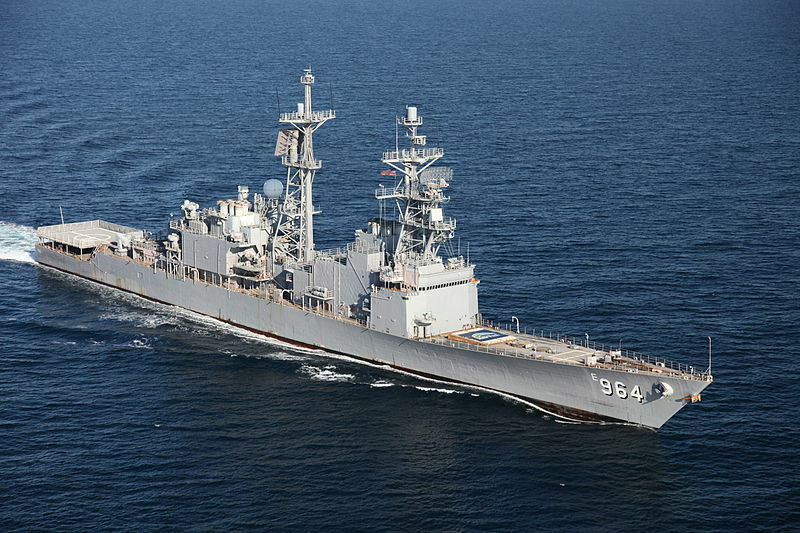 When LCS-1 was completed in 2008, there were no near peer naval powers challenging the US. By 2014 it was apparent that that was no longer true, so Navy leaders developed the “distributed lethality” strategy. Suddenly LCS was required to deploy better weapons, sensors, and battle management systems to handle near peer competitors. Thus the Navy added new warfighting systems, like SeaRAM, COMBATTS-21, OTH missiles and launchers, and upgraded the short range missiles from Griffin to Hellfire, all while building 32 ships without missing a beat or having to go through another 5 years of redesign while halting production. That the LCS was able to be reconfigured in only 5 years while still abuilding is a testament of the high value of modularity, not a justified excuse to criticize it for “taking too long”. Also, your charge that it was idiocy to have two variants of LCS ignores reality. More often than not the Navy has built multiple variants of ship types or classes, whether simultaneously or successively. Today we are building two variants of the LHD – one with a well deck, and one without a well deck to increase aviation capacity. In building SSNs today we are building Virginia class without a Virginia Payload Module, and another newer design (Block 5) with VPN. Back in the 1960s and 1970s we built two different variants of the 637 class SSN … a “regular” and a stretched hull. The only thing that changes between the two LCS variants is the hull form … all the equipment that matters in warfighting (sensors, weapons, missile and torpedo and air defenses) as well as the several Mission Modules is identical. The two variants are operated within separate theaters of operations – Independence variants in the Indo-Pacific, and Freedom variants in the Atlantic-Persian Gulf – so they have geographically separated maintenance and logistics chains anyway. Nothing “idiotic” about any of that! Duane. You are shifting the goalposts. I would encourage you to do more research. Read the original requirements documentation (courtesy of GAO or CRS) on when LCS was supposed to be fielded, what it was supposed to be able to do, and what it was supposed to cost. As for the multiple types argument, you are equivocating. There is very little difference between successive Virginia modifications. Freedom and Independence are essentially two different ship types -which means the Navy has to buy two separate parts stockpiles and manage multiple training and personnel pipelines. That is highly inefficient particularly considering there are only 16 of each type. You are also severely out of touch with reality in terms of what is actually program of record or fielded on LCS. And how long it is taking to incorporate new capabilites. I am neither equivocating or out of touch. As I clearly wrote above, the early program documents became out of date almost as soon as the first ship of each variant was launched in the late 2000s. Out of date precisely because of what I wrote. 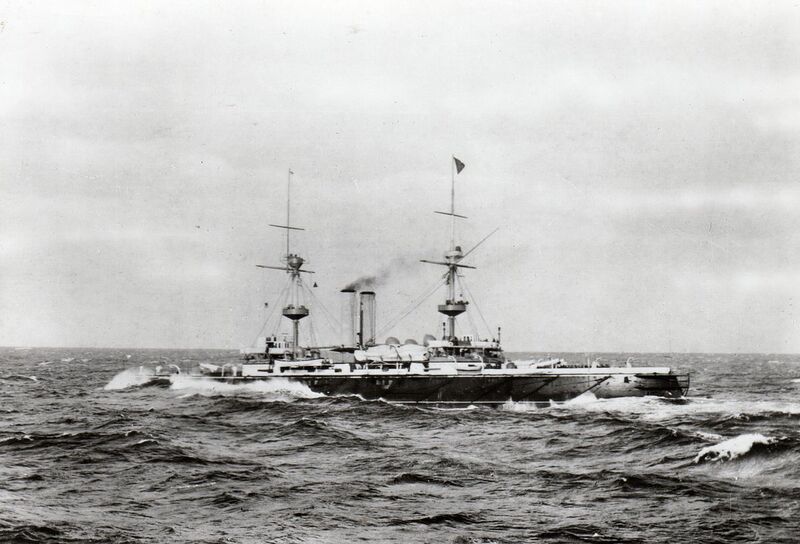 The naval threats changed and grew dramatically, and technology changed dramatically. When the LCS program was authorized as a program of record in 2004, the entire Russian Cold War era fleet was rusting at the pier, there was no invasion of Georgia nor or Crimea or of mainland Ukraine; China had only a smal coastal navy, no carriers, no island building in the SCS. The iPhone was still years away and hardly anybody was aware that there was such a thing as a “mobile device” and the US Navy had no unmanned aircraft or vessels in service. Everything has changed dramatically in the last 14 years. And the LCS has perfectly accommodated and integrated those changes without having to make any significant changes to the ship itself. Of no other vessel on the planet can that be said. And btw … you are really out of touch on the Virginia class. Thr Block V inserts the Virginia Payload Module, adding another 70 feet of length and four additional payload tubes (in addition to the two such vertical launch tubes on Block III and IV), effectively converting the Virginia Block V into a downsized SSGN. These are not minor mods at all. Ditto with the short and long hull SSN 637 boats. The extra hull insertion was made to repurpose the long hull boats to engage in underwater surveillance It was not a minor variation. And you ignore the LHDs that I cited that come today in a well deck version (amphib ops emphasis) and a non well deck version (aviation emphasis) … again, these are very major variations on the hull design that affect the mission and roles of the affected ships in major ways. Multiple simultaneous hull variants within a single ship class are not at all unusual in the US Navy. Wartime naval buildups are even more difficult. Check out what happened in the Pacific War when our “treaty cruisers” and World War I-vintage destroyers spent a year getting pummeled by state-of-the-art Japanese warships. The author’s main theme is that peacetime buildup is difficult. He cites examples of British Royal Navy and USN in the 1980s. But nobody seems to see the self-contradiction or circular logic. Why do US need to build up its navy to, says 355 ships? It is because of China’s buildup. Since China is not in war, the author’s logic should imply that it is difficult for China to build up its navy too, isn’t it? The obvious conclusion is that this has nothing to do with being at peacetime or wartime. The difficulty of buildup is due to multiple reasons – huge budget deficit, declining manufacturing base, uncompetitive ship building industry, etc.